Appreciate a peaceful massage, rejuvenating facial, or special body treatment at Body One. Our skilled therapists are experts in relaxation - you’ll come away feeling soothed and pampered. Feel free to come by for a consultation, and allow us to guide you on the best possible treatment to get rid of any aches and pains you may have, and leave you feeling totally peaceful. Our beautifying treatments will top off any look, and ensure you look, and feel, like a superstar. We draw on our extensive beauty expertise to pick the best products for Body One salon. We work with reputable salon-quality brands and use luxurious, effective products which are guaranteed to leave you with fresh, silky skin. For our spray tans, we use a brand which is favoured by celebs for its light fragrance, beautiful finish and fabulous results. Enriched with antioxidants, the formula is applied evenly and provides you with an immediate radiant glow, which develops over time and leaves you looking and feeling wonderful. Our extremely knowledgeable and proficient experts guarantee that every customer is given the absolute best treatment they deserve. 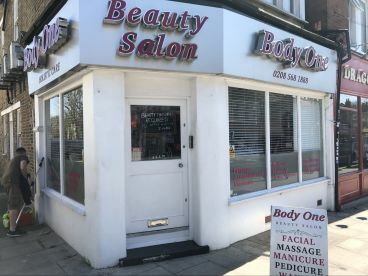 From waxing legs to perfect hair and polished manicures, our beauty salon gives only the very best, made to completely uplift and revitalise your natural beauty. Whatever it is you’re searching for, we’re here to deliver. 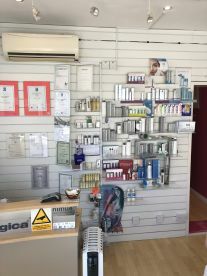 We’re available when you need us, so just pop by! Great service. Always come here for eyebrows and a Brazilian as I get nervous with them but they always do it quick and almost painless. Manjeet is brilliant. And accommodating where she can be. Always go here for a full leg and arm wax. Please note that Body One may not be able to honour booking requests made.